When Emily Freeman and Nish Weiseth met for lunch in March of 2013, they had no idea that a meal shared between two strangers of different faiths would grow into the friendship of a lifetime. A three-hour conversation about faith, family, and community turned into a multi-year conversation that’s still going strong today - only now, they use a lot more emojis. Emily is a member of the Church of Jesus Christ of Latter-day Saints, and Nish is an evangelical, non-denominational Christian. The world told them their friendship wouldn’t work; everyone said they’d just try to convert each other. But, after years of friendship, they realized that neither were true. They could have a deep, meaningful, spiritually-driven friendship that weathered the storms of life, even though their faith appeared at odds from the outside. The key, they found, was two-fold: Coming to the table with what they had in common, and letting their only motive be love for one another. What their faith traditions had in common? The Bible and a commitment to following Jesus Christ. Love for one another? As more time was spent together with each other and their families, it was easy. It was out of those questions that Multiply Goodness was born. How can we bridge the divide between traditional Christians and members of the Church of Jesus Christ of Latter-day Saints? How can we inspire women to build bridges across faith divides in their own communities? How can we minister to the hearts of women, no matter their faith or background? Soon after Multiply Goodness was launched, Katie Hughes jumped on board and was the catalyst for an entirely new level of creativity, connection, and inspiration. It’s our mission to empower women to love God’s Word and build bridges across faith traditions through guided study, inspired gatherings, and intentional friendship for the purpose of multiplying goodness throughout the world. Learn a little bit about the leadership of Multiply Goodness. Emily Freeman took her first creative writing class in high school and has loved writing ever since. She finds great joy in studying the life and teachings of Jesus Christ. Her deep love of the scriptures comes from a desire to find their application in everyday life. She is the author of several books, including EVEN THIS, Getting to the Place Where You Can Trust God With Anything. There is nothing Emily enjoys more for breakfast than a bowl of coconut ice cream, raspberries, and chocolate chips. Other favorites include parades, vacations, firework displays, and going for a long walk with a good friend. Emily and her husband, Greg, live in Lehi, Utah, and are the parents of five children, and grandparents to two grandchildren, all of whom she adores. Emily is a member of the Church of Jesus Christ of Latter-day Saints. Nish is a writer, a podcaster, a speaker, an editor, a business owner, a kid-wrangler, a bridge-builder, a perpetual student, and sometimes, a troublemaker (but always the good kind of trouble). She’s the author of SPEAK: How Your Story Can Change the World, and has published and edited pieces for a long list of nationally-known outlets. She’s an advocate for the disability community, a reluctant PTA member, and unapologetic Dr. Pepper addict. After spending several years in Utah, she’s now a proud resident of small town central Idaho, and it’s her own version of heaven on earth. Above all else, her favorite and most important roles will always be doting wife to Erik, proud mom to Rowan and Scout, and overly-earnest disciple of Jesus Christ. Nish is a non-denominational evangelical Christian. Katie is a wife, mother, business owner, speaker and advocate for families. She graduated with a degree in Human Development and Family Studies, has worked as a Coordinator for CES Youth and Family Programs and has coordinated creative efforts for other non-profit organizations. 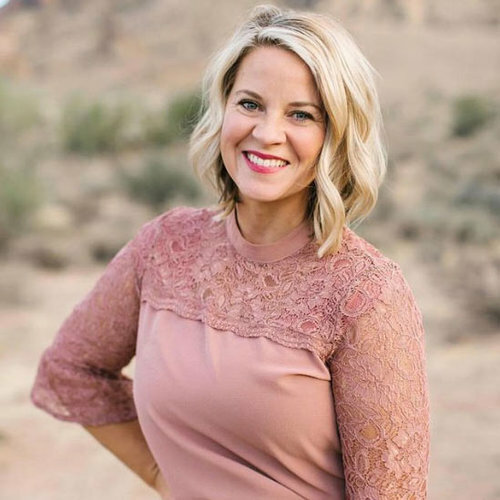 A perpetual business owner, Katie has created several successful businesses from the ground up, and continues to look for opportunities to create and share with others. Her life passion is her family—believing that “love is in the details”. With this idea, she loves inspiring women to find meaningful connections with their own families, each other and God. Her love for her husband, 5 children, everything beautiful, (and baked goods) can be found here. How does their friendship work? What are the differences in their faith traditions? How can you have similar friendships in your own life? A mini documentary-style video about Emily and Nish and how their friendship came to be. In Laura Tremaine’s popular anthology series podcast, she interviewed Emily and Nish about their interfaith friendship and the dynamics between evangelicals and Mormons. Nish and Emily are interviewed about building bridges using what we have in common, learning about each other’s faiths, and the importance of true friendship, regardless of the differences.